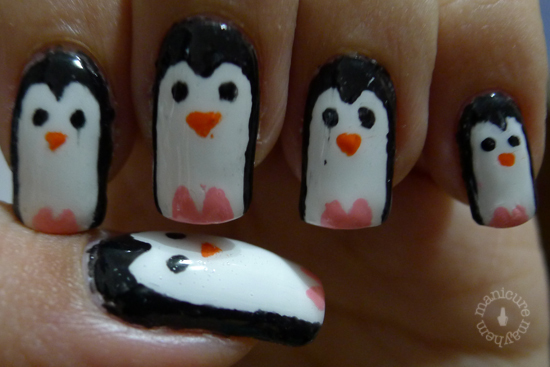 My very first full-fledged cartoon manicure, the Penguin Manicure! 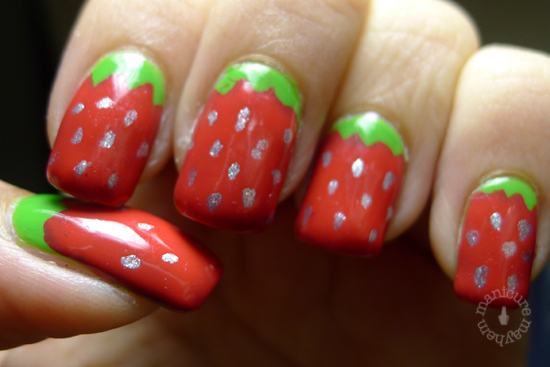 I think this was particularly challenging when I had to draw the nails on my right hand. It was so hard to get the ‘M’ shaped curve on top! But the final results was so awesome cos they turned out so cute! I got many many compliments for this! Haha. 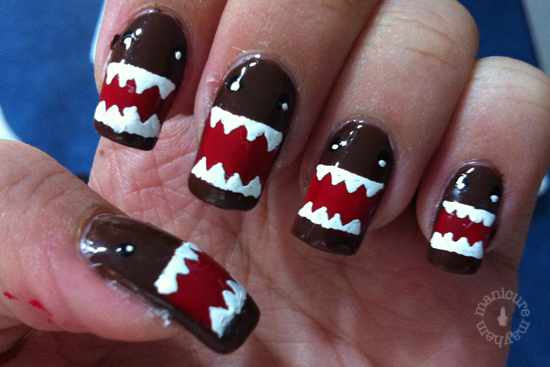 The next nail art that I did was of Domo-kun! This was inspired from The Daily Nail! 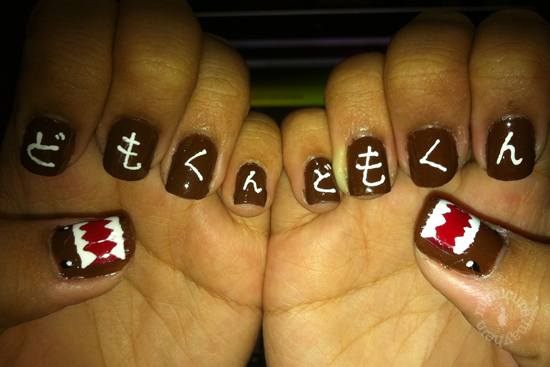 The most difficult part of this manicure was drawing those stupid white teeth!! My best friend, Jadyn and I spent so much time just helping each other draw the little triangles that made up the teeth cos the nail art pen kept stringing the polish (it probably is too thick). My sister, Shaohui did the Domos with us too but for her she only did the thumbs, and I wrote ‘Domo-kun’ in Japanese for the rest of her fingers (I can’t actually write Japanese, I copied it off Google Translate HAHA). It was very cute too! After all that nail art (and how a chore it was to draw the same thing 10 times), I was sick of it and stopped doing nail art for 1.5 months. 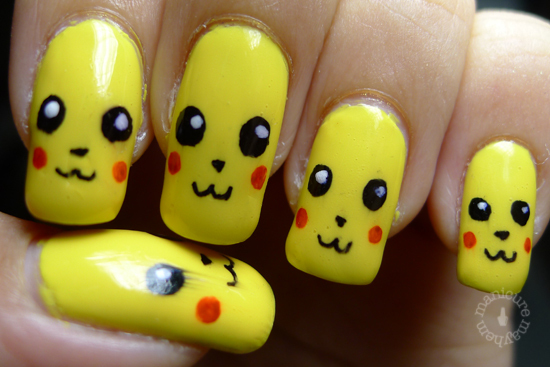 Partially also because I was waiting for my Zoya haul to arrive so that I can do some Pikachu nails! Sadly, once school starts I may not have a chance to spend 3 hours drawing on my nails anymore. 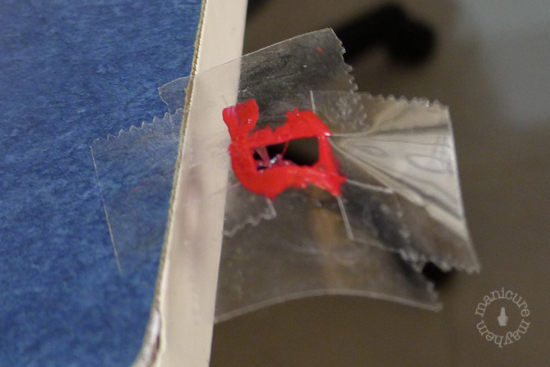 But I can still Konad-stamp my nails 😀 Stay tuned for posts on my Konad-ed nails! Enter your email address to subscribe to my nail blog and receive notifications of new posts by email!